Article: Jake Miller Throws The First Pitch At The Tampa Bay Rays Game & Does A Special Performance! From throwing out the first pitch at a baseball game to performing for his fans – you could definitely say that today was another remarkable day for the ever so talented, genuine artist: Jake Miller! 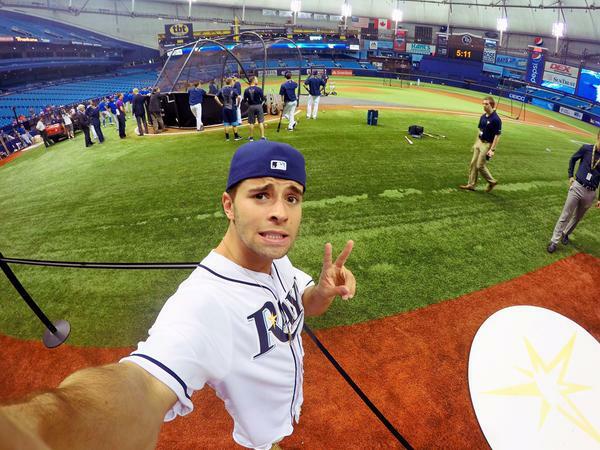 Singing sensation, Jake Miller had a stupendous time today, June 22, 2015 as he threw the first pitch at the Tampa Bay Rays baseball game, and not only that – the amazing Jake Miller even threw out a strike! The extraordinary Jake Miller also played a private performance at the baseball game as well. Along with the phenomenal photo above shared through Jake Miller’s Instagram account, Jake wrote, “Just threw the 1st pitch at the Tampa Bay Rays game! This time I threw a strike”. Phenomenon Jake Miller also shared the terrific photo below through his Twitter account and wrote, “Just did a private performance in a box at the @RaysBaseball game! About to throw the 1st pitch now!”. Despite all of his massive success, Jake Miller is still such a humble and down-to-earth musician who always has his million dollar smile on his face! What a magnificent individual! 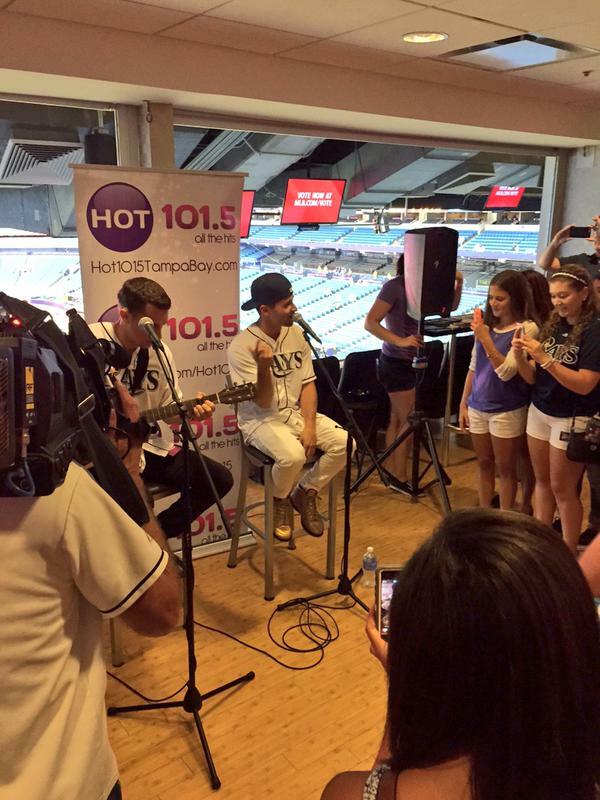 Check out more photos below of Jake Miller at the Tampa Bay Rays Game today! I’m glad Jake Miller had a fabulous time! Previous Article: Watch The Season 3 Trailer For “The Thundermans” And Tune In To The Premiere On June 27th!